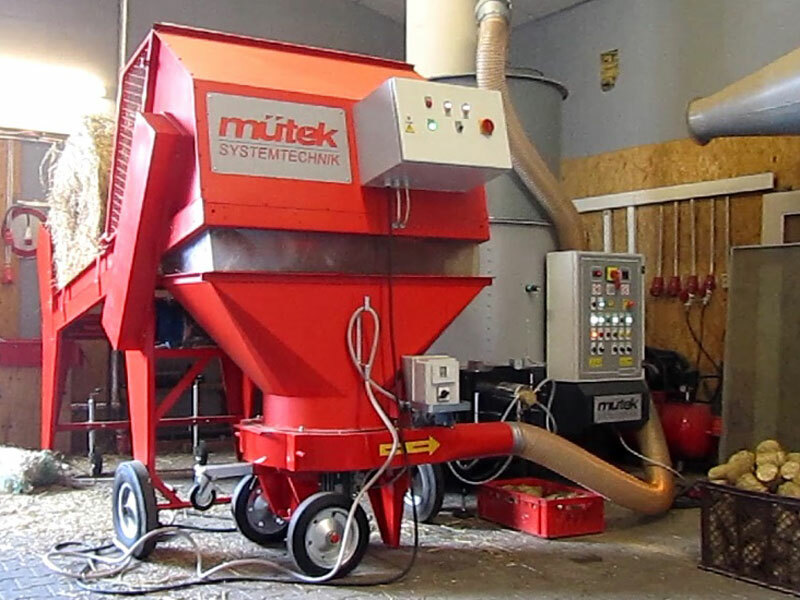 The mütek strawshredder consists of the baleopener Type MHB and the strawmill Type MHZ. With the baleopener round- and square bales get dissolved into their basic structure and with the following strawmill cut down into optimal conditions for bedding, briquetting or heating. The processed straw, miscanthus, hay or other biomass does not only get cut down to length but also fractured. The sturdy steel construction of the mütek shredders guarantees constant quality in continuous operation. 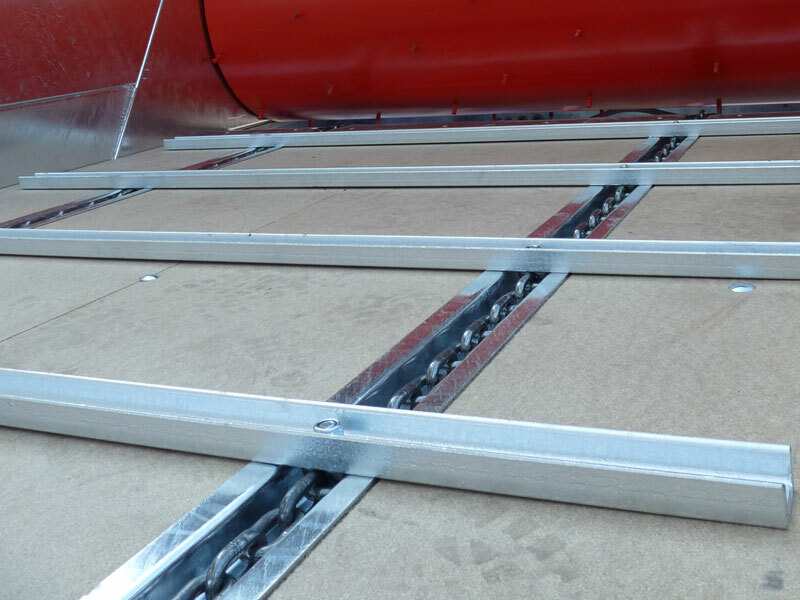 On the baleopener there is a chain conveyor (Motor: 0,75 kW, adjustable pace) installed, which pushes the bale against the milling rotor (Motor: 5,5 kW). 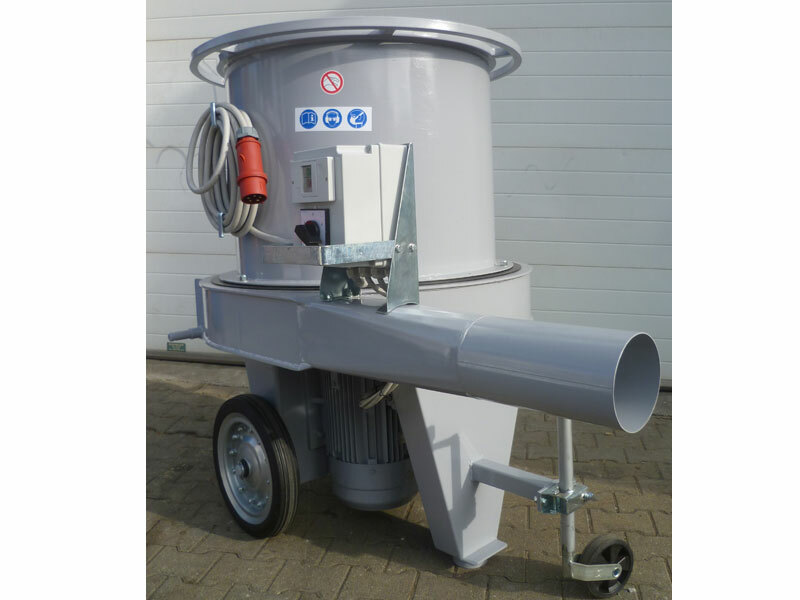 Several grinders which are placed on the milling rotor tear up the straw bale and make the straw fall down into the hopper of the strawmill Type MHZ 600 or MHZ 800. The strawmill processes the slightly dissolved straw into short straw. Depending on the installed screen (8 – 45 mm) the straw gets more or less crushed down. 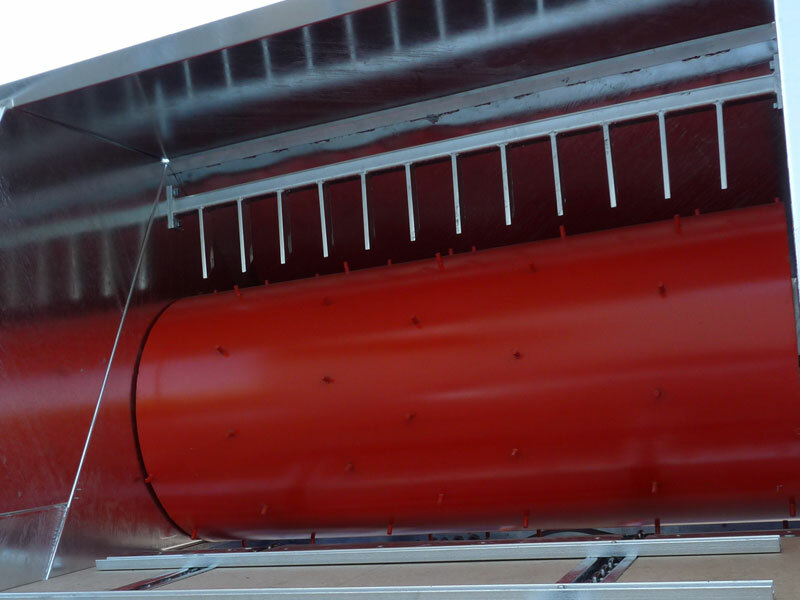 The assembled ventilator blows the short straw up to 12 meters by air. Both machine types can also be used as stand-alone machine. Only dry material can be processed (humidity max: 20 % Atro). Bales out of silage are not supposed to be used. The performance of the system is between 250 and 900 kg/h – depending on the material and the fitted screen size. Each machine has a separate panel board.